Experience a true South African adventure with a luxury 14 day expedition! Your journey begins in Cape Town, to admire panoramic views from the mountain tops, explore the peninsula and learn about the local history. Visit the majestic Grootbos Forest Lodge before being whisked away to the Cape Winelands next, for a true treat to your senses. Venture through the vineyards, breathe in the aromas and taste the flavors from winery to winery. 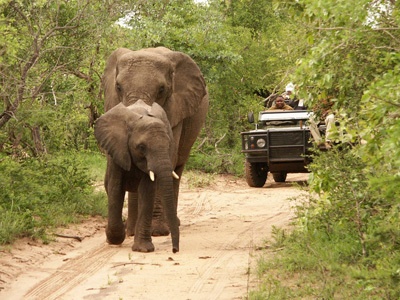 The final leg of your voyage will immerse you in the wilds of the Kruger National Park. Track the wildlife in their natural habitat on fascinating game drives and bush walks, for the ultimate safari and unique lodging experience. You will leave South Africa with the memories of a lifetime and the photos to prove it! 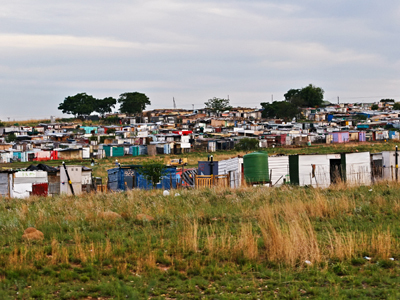 Round out your trip with a visit to Johannesburg's Apartheid Museum and SOWETO. Today, you will head out on a half day private exploration of Cape Town, known affectionately as the Mother City. During this tour, you will visit the Houses of Parliament, the Castle, which was built between 1666 and 1679 and is South Africa’s oldest building, the vibrant Greenmarket Square and the beautiful Company Gardens. Of course, no tour of the city is complete without a trip up Table Mountain. From the top of this magnificent attraction, you are rewarded with spectacular aerial views over the city and the scenic Peninsula. Please note that the cable car ride up Table Mountain is not included in the tour, as it is a weather dependent activity. Start the day with a visit to the District 6 Museum in Cape Town. This is Cape Town’s apartheid museum. This museum represents the memories of a community on the outskirts of Cape Town where over 60 000 people were forcefully removed from the mid 1960’s to the mid 1980’s. This visit allows you the opportunity to discuss what led to apartheid in this country and to discuss how it was implemented. 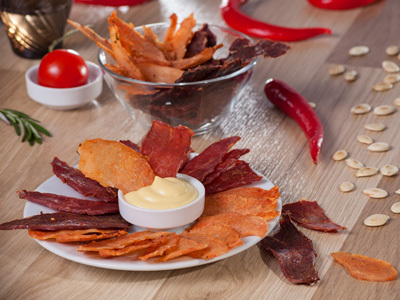 From here, travel to Langa township to cook at a small cookery school that provides the local residents with the skills needed to get jobs in the kitchens of the top hotels in Cape Town. This is one of only a handful of full time cooking schools based in a Cape Township. The students are not from privileged homes and as such the fees charged cannot be very high. Money needs to be raised in order to provide these kids with tuition, which is done through a variety of entrepreneurial ventures. They have created a restaurant out of shipping containers and here they serve traditional African cuisine to the local community and to visitors. This facility is also used to cater for functions in the local area, as well as for the cooking classes and brings much needed revenue into the school. A visit to the school and restaurant is a unique opportunity for you to interact with a community initiative that is really working. Here you learn about African and Xhosa culture and cuisine; have the opportunity to interact with the locals and for you to also leave your mark on your journey to Cape Town. Nestled within an ancient milkwood forest, Forest Lodge is found in the Grootbos Nature Reserve’s picturesque mountain and seascape region. Glittering in the sunlight, the lodge shows off sweeping views over a natural paradise and its luxurious accommodation is an invitation to soak up the tranquil atmosphere. Grootbos is an eco reserve, where highly professional, specialist guides, qualified botanists and scientists, are excited to share their passion for the region's plants, birds and small game, which inhabit this slice of heaven. Your fully inclusive stay at the Grootbos Forest Lodge covers breakfast, a light lunch, 5 course dinner, welcome drink upon arrival, water, soft drinks, tea, coffee, minibar and fresh fruit served daily in your suite. The lodge also offers an irresistible variety of guided adventures. These excursions include horse back riding, guided walks & nature tours, coastal drives, cliff hikes, cave explorations and even seasonal land-based whale watching excursions (especially between June and December). With everything there is to choose from, Grootbos is guaranteed to keep you entertained, enthralled and engaged! 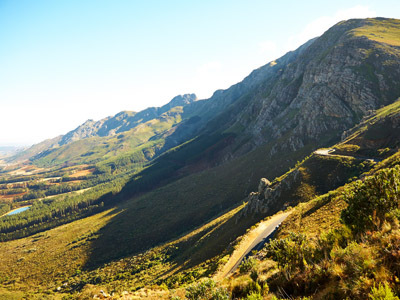 The picturesque village of Franschhoek is set in a beautiful valley surrounded by mountain. Enjoy some of its many interesting shops and boutiques and visit a second wine estate for some more wine tasting. The origins of this village date back to 1688 when some of the French Huguenots fleeing religious persecution settled in the valley, then known as Elephants Corner. As the settlers increased the elephants ceased their annual migration to the valley, which later became known as French Corner or 'Franschhoek' in Afrikaans. This delightful drive winds its way to the heart of the Cape Winelands, through superb mountain ranges, vineyards and Cape Dutch homesteads. 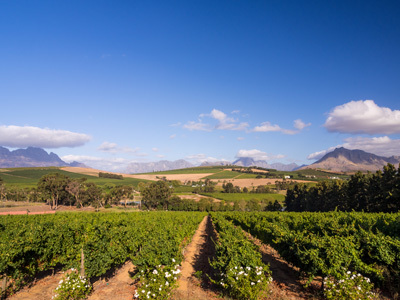 Head off to the wine country via the N2 to the heart of South Africa's wine industry, Stellenbosch, boasting great beauty and culture that is steeped in South African history. Walk down the canal-lined avenues, in the shade of giant oak trees and beautifully preserved historic buildings. With the sheer vastness of wine estates on offer, you are truly spoilt for choice when you enjoy your first wine tasting of the day at the Waterford Estate (or similar). Enjoy a wine tasting before taking time to enjoy the fabled culinary skills of the Franschhoek chefs at one of the many award winning restaurants (lunch not included in cost). Onward to Paarl, one of the Cape’s first farming districts. The town is set at the foot of the cluster of remarkable granite domes from which it takes its name. Our last stop for the day is at a wine estate on the Paarl wine route. Return to the bustle of city life after an enthralling day in the countryside, arriving back at the hotels at approximately 5:30 PM. As you bump along the park roads, the sun warm upon your face and air dry in the back of your throat, your senses are on high alert. This is the real Africa, home to the Big 5. From the nervously twitching herd of impala following a night of predator action, to the wild dog prancing around like a domestic pet on the side of the road, Kruger is alive with activity. With over 2 million hectares of pristine wilderness, the biodiversity in this National Park sustains many species of game and birds. The dry north consists of Baobab trees, scrubland and rocky outcroppings, which can be seen for miles, where animals tend to gather around water sources. As you journey south, the park gets busier, animal numbers increase and the backdrop changes to grassland and acacia woodlands. During your stay at the intimate Lion Sands River Lodge, you can look forward to both morning sunrise and late afternoon safari adventures with FGASA qualified ranger & trackers. Kick off and finish off every day out in the wild, in search of the many animal species who call this place home. Welcome to the City of Gold. Johannesburg is the pulsating heart of South Africa's industrial and commercial life, where more than a mile below the bustling city traffic, miners still dig for the world's most precious metal. This city may not be known for its natural beauty, but there is certainly enough to keep you entertained. From its botanical gardens, picturesque lakes, historic museums, art galleries and variety of cultural excursions to Soweto, Lesedi, Pretoria or the Cradle of Humanity, the possibilities are endless. Johannesburg is also known for its world class design in gold and diamond jewelry, ethnic fashion, arts and crafts. This tour takes you to two of Johannesburg’s most popular attractions, giving you an opportunity to take a closer look at South Africa’s turbulent past. Starting with a drive across Johannesburg, to the south of the city to visit the Apartheid Museum, which opened its doors in 2002, this is where you embark on a historical voyage of discovery, a personal exploration of the past that examines the story of apartheid right up to the first democratic elections held in 1994. The tour of the museum lasts approximately two hours. Today, you will be met and transferred to the airport for your international departing flight. We hope you enjoyed your experience and we wish you a safe and pleasant flight home. This gem, right under Table Mountain, has wonderfully extravagant rooms by local interior designer Joe Jacob. Complimentary airport transfers are provided, and once you arrive charming butler will look to your every need. General Manager Richard Pfotenhauer has worked at some of southern Africa's best lodges and hotels - he's an engaging host with plenty of insider tips. Each of the seven bedrooms is different. The bathrooms are stocked with Moya products, produced using the Cape's indigenous fynbos plants, and there is secure basement parking. True to its name, the warm and welcoming Garden Lodge is set among an Eden of beautifully landscaped fynbos gardens and indigenous trees. 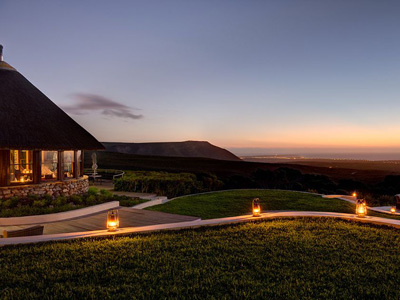 Fashioned from stone, thatch and timber, the Garden Lodge reflects African warmth with an intercontinental twist, blending perfectly into the surrounding landscape. Nestled carefully into the natural gaps of an enchanted Milkwood forest, each of the 11 freestanding suites are stylishly furnished with luxurious canopy beds, spacious en suite bathrooms, separate lounges with cozy fireplaces and private wooden decks with spectacular panoramic views. The luxury and comfort of each of these suites combined with the soothing sounds of nature and the view of the ocean sparkling in the distance framed by the gnarled branches of an ancient Milkwood tree is a truly restorative and uplifting experience that will have you wishing you could stay forever. 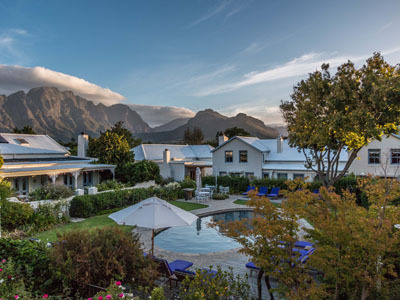 A splash of style in Franschhoek, Le Quartier Français keeps company with the best of the world’s small hotels. The rooms and suites of the Auberge embrace a garden courtyard, and are air-conditioned for summers and warmed by fireplaces in winter. The Four Quarters is a four-suite home-from-home, complete with butler-service, pool and bar-lounge for the exclusive use of its guests. The Tasting Room serves award-wining cuisine, while the street-side café iCi serves produce-driven food throughout the day. Enjoy an intimate cinematic experience at the Screening Room, and indulge in the consoling magic of the Treatment Room. Lion Sands Private Game Reserve is situated in the Southern portion of the Sabi Sand Game Reserve, an area well known for its spectacular game viewing. The River Lodge is a warm and friendly property, with an emphasis on relaxation. The 20 luxurious thatched bedrooms have recently been completed redone, to greatly expand the floor space and revamp the bathrooms. They are decorated in neutral tones in a soft understated style, each with an en-suite bathroom, air-conditioning, ceiling fan, minibar, telephone & deck. The rooms are connected to all areas by raised wooden walkways. The attractive main lodge features a private lounge and bar, a magnificent game-viewing deck, which is cantilevered over the Sabi River and several alfresco dining areas. There are two swimming pools - one close to the lodge and one more secluded, a bird hide, hammocks strategically placed for game viewing, as well as a gym & health spa, curio shop and boma. 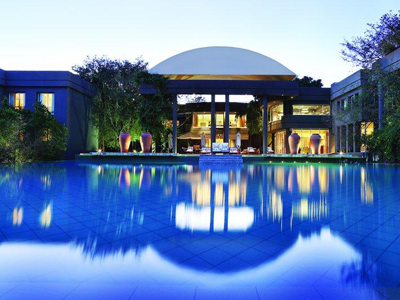 The Saxon Hotel & Spa lies in the ultra-exclusive Sandhurst area of northern Johannesburg. It is a serious contender for the most magnificent hotel in South Africa. 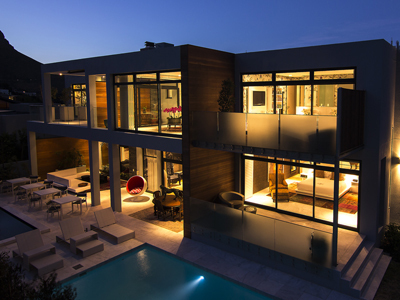 It is quite simply stunning - a statement of modern African elegance combined with deft attention to detail. It was originally a private residence that has been extended and transformed into possibly the only international boutique hotel with an ethnic African style.